Eintracht Frankfurt and Tigres UANL Under-19's return for the 2013 Gordon Jago Super Group | Dallas Cup, Inc.
Dallas, Texas – We are delighted to announce that two of Dr Pepper Dallas Cup’s perennial contenders, Liga MX side Tigres UANL and the German Bundesliga’s Eintracht Frankfurt will once again return for Dr Pepper Dallas Cup XXXIV. The two clubs, who faced off in the 2011 Gordon Jago Super Group championship game, combine to bring a total of 5 teams across 4 age divisions for next year’s tournament. With four months left until Dr Pepper Dallas Cup XXXIV, the Gordon Jago Super Group has already confirmed five first division teams from four countries in three continents: Fulham FC (England), Fluminense (Brazil), Coritiba FC (Brazil), Eintracht Frankfurt (Germany) and Tigres UANL (Mexico). The November 30th deadline for international application is fast approaching. 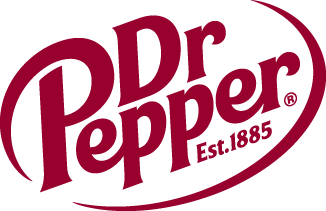 Dr Pepper Dallas Cup has received interest from teams in countries around the globe including Brazil, Canada, China, Costa Rica, England, Germany, Japan, Mexico, South Africa, Trinidad & Tobago, Demark and Zimbabwe.